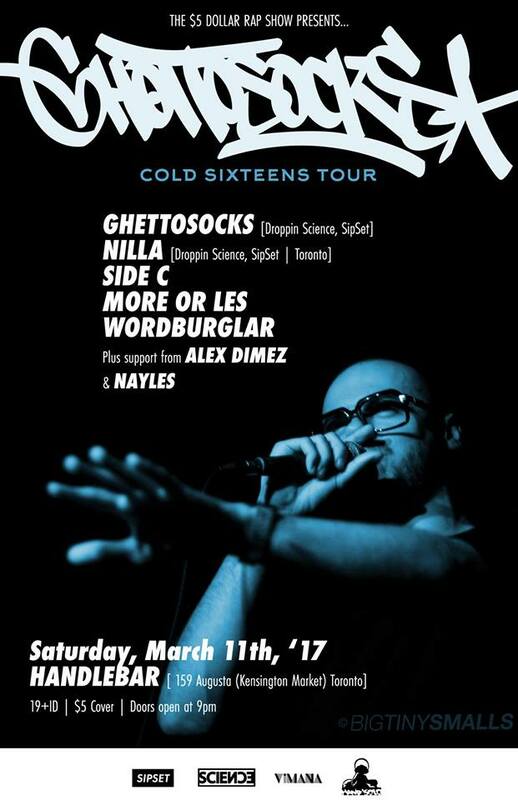 Starting the year off strong at $5 Rap Show with our second show of the year on Saturday, March 11 at Handlebar in Kensington Market, this one with crowd favourite Ghettosocks and his label mate NiLLa Music, who recently released a new album produced by Socks, along with Montreal’s Side Cee, and Alex Dimez and Nayles. Plus host Wordburglar and DJ More Or Les will probably bless the mic, as per usual. Only 5 bucks for an awesome party! C’mon out!